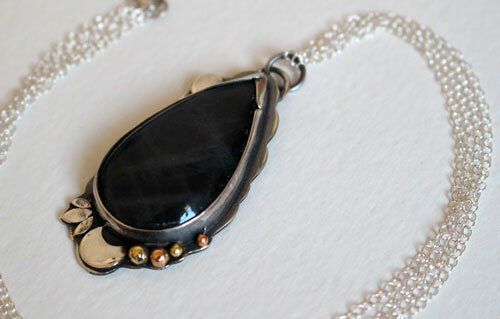 This necklace is named Moon Ray. 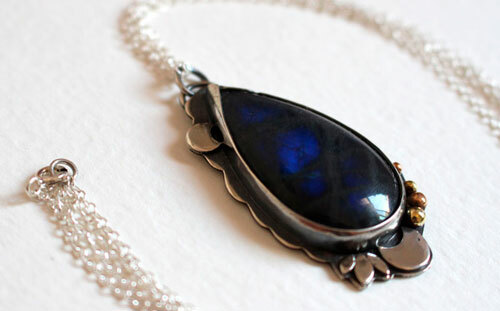 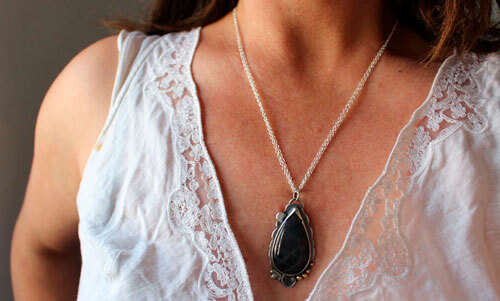 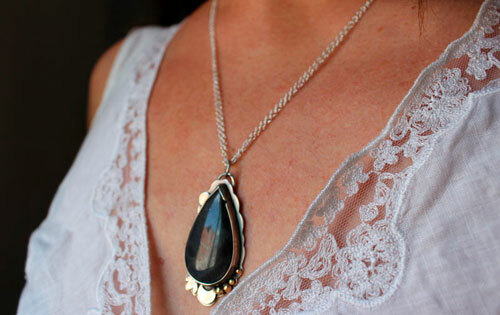 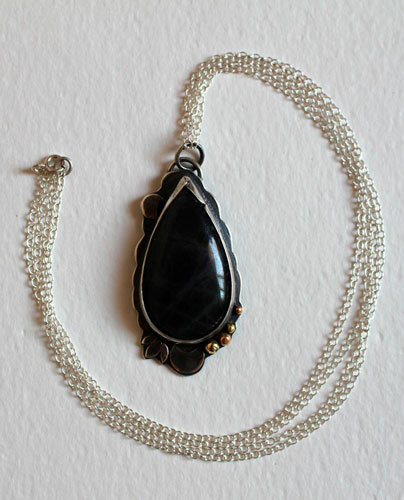 The pendant is bezel set with a labradorite with black and blue hues that you cannot see at first. 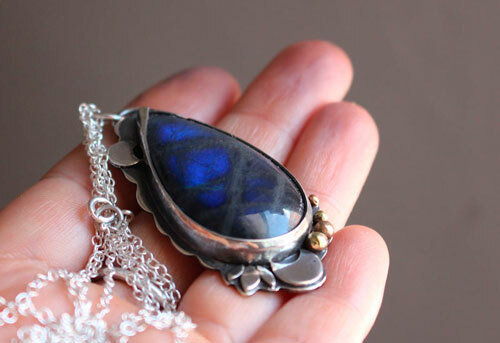 The stone appears to be black first but when you put this stone in the light or when you look at it in a different angle, an intense blue color appears. 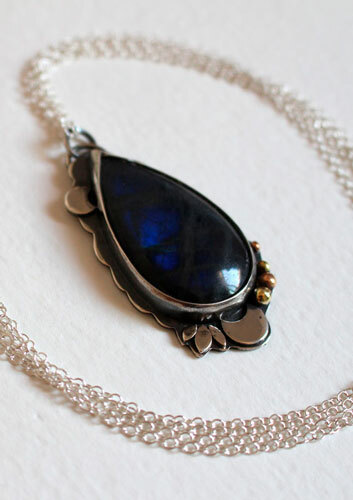 A tiny crescent moon is soldered on the lower part, surrounded by flower petals and sterling silver and brass balls. 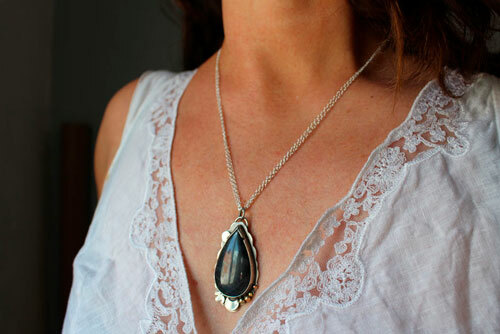 Tag: necklace, sterling silver, moon, crescent moon, labradorite, black, blue, dark blue, reflection, brass, beads, romantic, gift, woman, mother's day, modern, adult, feminine, unobtrusive, classy, sleek, play of light, plant, botanical, petal, leaf, nature, astronomy, ray, night, moonlight, flower, ball, sphere.